[page 3] They are to a certain extent typical 'refutations'. They are typical, not only because of what is alleged, but because of the manner in which an attitude is taken towards that to which objections are raised. This manner is characteristic. It is often the case that people do not fix their attention upon what spiritual science says and direct their attack against this, but fabricate an idea of what they think it says, and then attack this idea. [page 37] As with the other lecture, I introduced into what follows some thoughts about objections which have been made from many quarters against anthroposophical spiritual science. These objections often arise in a most peculiar way. For these critics do not take a proper look at what spiritual science says and inveigh against that, but concoct a distorted image of what they think it says and launch their assault against this caricature. Steiner is attacked not for what he is trying to do, but for the very opposite by people brimming with antagonism but lacking understanding of the very material they are condemning. For myself, as a newcomer to Steiner's works, I read about ten small books of his lectures and still didn't understand what he was getting at. I would have been a perfect critic of his work at that time because my knowledge of his work constituted a mere caricature of it, full of holes, lacunae, and exaggerations. Instead, I held an unanswered question: "Why am I continuing to read Rudolf Steiner's books?" I would find a book in a lower shelf in an occult bookstore, look through it, and buy it to read. After reading the new book, I would be even more confused than I was before. I wrote short reviews, caricatures, if you will, of the meaning, sparse as it was what I was able to glean from the book, and I was left with more questions than answers from each new book. Thus I continued until 1995 and the advent of the Internet when I asked my greatest unanswered question, "What should I be reading of Steiner's works?" The answers pointed me to his classic works, "Outline of Occult Science", "Theosophy", and "Knowledge of Higher Worlds". Through my study of these books, I realized that this man, this obscure Austrian philosopher and mystic, was answering for me the greatest unanswered questions in life that I had been holding. Life is a mystery with an enigma at both ends. I had devoted my life to studying the mystery portion and here was a man explaining the two enigmas, life before birth and life after death, showing that life flows from birth to death to birth to death in an unbroken skein of transitions. Before the eyes can see, they must be incapable of tears. Before the ear can hear, it must have lost it's sensitiveness. Before the voice can speak in the presence of the masters, it must have lost the power to wound. Before the soul can stand in the presence of the masters, its feet must be washed in the blood of the heart. Any one who has lived these four sentences with magical power, any one who has brought them to life within, any one who has loved them as a mother loves her child, any one who has done all these things will be incapable of finding objections to any of Rudolf Steiner's teachings. Indeed, any one who strives to do these things will find Steiner's books and lectures as a "light on the path." Another light on the path is the Goetheanum, the building in Dornach, Switzerland, whose architecture and function Rudolf Steiner designed. The first lecture in this book is devoted to describing "the mission of spiritual science and of its building at Dornach" and to counter objections that "unhealthy mysticism" and "all kinds of mysterious symbols which are incomprehensible to the non-initiated" fill this building. Steiner says that these things do not exist and if they did, he himself would repudiate them. [page 4] But by far the larger part of what is adduced against spiritual science is on these lines. First a caricature of it is made, which flies in the face of all scientific thinking, and then this caricature is attacked with the weapons of science. Another caricature is made, which is attacked from the point of view of religious feeling; whereas in truth no religious confession would have the slightest occasion to think anything but kindly of spiritual science, if its true form were kept in view instead of a caricature of it. The most difficult part of understanding anthroposophy or spiritual science is understanding that what is meant by the word spiritual is something that is real, but not a thing. Given the usage of the word spiritual in so many other different ways which are only abstract ideas, Steiner corrects any possible misconception of the meaning of spiritual science, pointing out that neither he nor anyone closely connected with him coined the name. [page 6] The name is used everywhere where it is thought possible to attain knowledge which is not merely physical science but knowledge of something spiritual. Many of our contemporaries call history a spiritual science, call sociology, political economy, aesthetics, and the philosophy of religion spiritual sciences. We use the name in a somewhat different sense, that is, in the sense that spirit is to us something real and actual, whereas most of those who nowadays speak of history, political economy, etc., as spiritual sciences, resolve the spirit into abstract ideas. The confusion surrounding Steiner's connection with the Theosophical Society has led many people to say that the Anthroposophical Society developed out of the Theosophical Society. Nothing could be further from the truth — which was that Steiner found a ready group of Theosophists ready to hear what he had learned out of his own life and studies which did not include Blavatsky or Besant's works. The proof of this? When Steiner's teachings varied from the dogma of the Theosophical Society, he was shown the door. Never once did he compromise his teachings in order to remain within that society. [page 7] That which now forms the substance of our anthroposophical view of the world, as studied in our circle of members, is not borrowed from the Theosophical Society but was represented by me as something entirely independent which — as a result of that Society's invitation — took place within it, until it was found to be heretical and was 'shown the door'; and what had thus always been an independent part of that Society was further developed and cultivated in the now wholly independent Anthroposophical Society. Thus it is an entirely erroneous conception to confuse in any way what is living within the Anthroposophical Society with what is represented by Blavatsky and Besant. It is true that Blavatsky has in her books put forward important truths concerning spiritual worlds, but mixed with so much error that only one who has accurately investigated these matters can succeed in separating what is significant from what is erroneous. Hence our Anthroposophical Movement must claim to be considered wholly independent. This is not put forward from want of modesty, but merely in order to place a fact in its objectively correct light. When anthroposophy began to create plays and other artistic production, it found a need for a proper building suited to these productions, one whose architecture was suited to the activities scheduled to take place within its walls. Such a building was designed to be built in Munich initially. [page 8] When this proved impossible or, at any rate, extremely difficult, the possibility arose of erecting this building in Dornach near Basle, on a very beautiful hill, where a large piece of land was offered us by a Swiss friend, who had this ground at his disposal and who has our cause at heart. 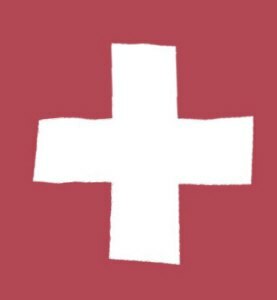 And thus, through easily comprehensible circumstances, it has come about that this building has been erected in the northwestern corner of Switzerland. All manner of misrepresentations were made about anthroposophy in Steiner's time: it is simply a new Gnosis, it is alchemy, it is magic, it is pure fantasy, it is only mysticism, etc. All of these ignore Steiner's goal to create something new in spiritual pursuits, something akin to what natural scientists had done since the time of Bacon, Copernicus, Galileo, and Newton. These scientists had carved out a science based solely on the products of human sensory perception, had discarded all connection with the spiritual world, and eliminated the very foundation for all spiritual and religion doctrines. 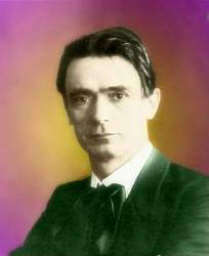 Rudolf Steiner perceived the need for a new foundation for spiritual understanding of the world, one based as surely on a scientific basis as that of the natural science, and thus it could be truly called the first spiritual science, or anthroposophy. [page 9] Now what natural science sought to do then for the interpretation and explanation of the mysteries of nature, spiritual science seeks to do for the spirit and soul at the present time. Fundamentally speaking, spiritual science desires quite simply to be something similar for the life of soul and spirit to what natural science became at that time for the life of outer nature. Anyone who believes, for instance, that our spiritual science has something to do with the ancient Gnosis completely ignores the fact that something new entered the mental evolution of mankind with the view of the world adopted by natural science, and that as a result of this new element spiritual science is to be something similarly new for the investigation of spiritual worlds. Now if spiritual science is to do the same for spirit that natural science has done for nature, it must investigate quite differently from the latter. It must find ways and means of penetrating into the sphere of the spiritual, a domain which cannot be perceived with outer physical senses, nor apprehended with the intellect which is bound to the brain. How foolish! Something that cannot be perceived with senses nor with a brain-bound intellect! What else is there but a brain-bound intellect? all brain-bound intellects would shout. How can anyone answer this question? [page 10] Now spiritual science shows that the cognitive powers which man has in ordinary life, and which he also uses in ordinary science, are by no means able to penetrate into the spiritual world. In this respect spiritual science is in full accord with certain branches of natural science. But natural science is unaware that there slumber in Man certain faculties which are capable of being developed. Were not our capabilities to understand the world solely through the senses capable of being developed in the 550 years since 1453? Can we exclude the possibility a priori that similar functions could be developed to allow us to penetrate the spiritual world? Most natural scientists would not give a passing thought to that possibility. They would instead call someone who claimed the ability to penetrate into the spiritual world, delusional or psychotic, suffering from a diseased brain. [page 10] It is, again, difficult to speak of these faculties at the present time, for the reason that they are very widely confused with all manner of diseased phenomena in mankind. For instance, there is much talk nowadays of the possibility of the acquiring of certain abnormal faculties, and the natural scientist thereupon declares that it is true that they may be acquired but that their existence is only due to the fact that the otherwise normal nervous system and brain have become abnormal and diseased. In every case in which the investigator in natural science is correct in making such a statement, the, spiritual investigator at once acknowledges it. But the aims of spiritual science should not be confused with what is often superficially called 'clairvoyance'. Neither should spiritual science be confused with what appears under the name of spiritualism and the like. The essential thing is this, that spiritual science should be distinguished from everything that is in any way due to diseased human predispositions. Does one have to be a vegetarian to be a spiritual scientist? No, but it helps, so most scientists of the spiritual world soon discover the benefits of abstaining from meat. This is something which has been known for a long time as shown by the abstinence from meat for the spiritual period of Lent, as long required by the Catholic Church up until recently. [page 10, 11] The spiritual investigator will be most careful not to let the body have any influence over what he spiritually perceive mention by the way that if, for instance, a large number of the adherents of spiritual science are vegetarians, this is a matter of taste, which in principle has nothing to do with spiritual methods of research. It has only to do with making life a little easier, with a more comfortable ordering of one's life, since it is easier to work in a spiritual way if no meat is eaten. The difference between the Catholic Church's requirement for abstinence and the voluntary, self-imposed abstinence of the spiritual science should be clear. It is the difference between a class in kindergarten and one in a post-graduate seminar. One does what one is told in the former because one was told to do it, and one may choose to do the same thing in the latter because one deems it to be important. This difference between kindergarten and graduate school appears at all levels between religion and spiritual science. The hard strictures of a dogma, be it natural-scientific or religious, are inner thought-forms which can be likened to a rigid statue. On the other hand, the processes of the spiritual scientist can be likened to a living, walking being. [page 11, 12] Imagine that the statue — this, of course, cannot happen, but let us assume that it could — imagine that the statue, which previously stood there with its lifeless form, were suddenly to begin to walk and to become living. This the statue cannot do; but human thinking, inner logical activity, can. By means of the soul-exercises undertaken and carried out by the spiritual investigator, his condition becomes such that there is within him not only a thought-out logic, but a living logic; logic itself becomes a living being within him. In this way he has grasped something which lives and surges within him, permeating his whole being; and this takes the place of dead concepts. When we fall asleep, we lose all consciousness of our being, but when we learn to keep our intellect and sense still, we achieve a state similar to sleep in which we remain fully conscious. [12, 13] The spiritual investigator succeeds in voluntarily giving his bodily life the same form that it takes involuntarily when he goes to sleep. He commands his senses and his ordinary intellect to be still; he achieves this by developing his will. And it then happens that the same condition is voluntarily brought about that is usually involuntarily present in sleep. Yet, on the other hand, what is now brought about is the complete opposite of the condition of sleep. Whereas during sleep we become unconscious and know nothing about ourselves and our surroundings, through developing the will in the manner described we consciously leave our bodies; we see the body outside ourselves, just as we usually perceive an external object outside ourselves. Then we notice that in man there lives a real spectator of his thoughts and actions. This is no mere image, no merely pictorial expression; it is a reality. In our will there lives something which is perpetually observing us inwardly. It is easy to look upon this inner spectator as something intended to be taken pictorially; the spiritual investigator knows it to be a reality, just as sense-perceptible objects are realities. And if we have these two, the etheric man, who thinks in living, moving thoughts, and this inner spectator, then we have brought ourselves into a spiritual world which is actually experienced, just as the physical world is experienced with the senses. In this way we discover a second man within us, just as oxygen is found in water by the methods of natural science. The most discredited of all studies of the spiritual world was that known as "spiritualism" in the early 20th Century. This field of endeavor sought to prove and demonstrate the existence of the spiritual world by means of table tipping, seances, and various kinds of visions and knocking sounds. All of their so-called evidence of the spiritual world involved sensory data in the physical world. [page 16] Another mistake arises when it is thought that spiritual research has anything in common with spiritualism. By this it is not meant that all manner of facts may not be discovered through spiritualism, but these belong to natural science, not to spiritual science; for what is discovered through spiritualism is presented to the outer senses, whether by means of materializations, or knockings and the like. What can be presented to the senses belongs to natural science. What offers itself as an object to the spiritual investigator is of a soul and spirit nature, and cannot be presented externally, for instance, in space; it must be experienced inwardly. Thus it came about that the debunkers of spiritualism were natural scientists themselves, but they didn't prove the non-existence of the spiritual world, only that the spiritualism approach was not a way to reach it. [page 16] Through the inner experience which has been described there is formed a comprehensive spiritual science, which not only throws light on the being of man and the passage through repeated earthly lives, but also illuminates the spiritual worlds and the spiritual beings who lie behind nature. Spiritual research is able to enter the world through which man passes after death. What about extra-sensory perception, psycho-kinesis, and the use of a divining rod to locate water underground? Are not these examples of spiritual perception at work? Steiner says No. Anyone who claims these capabilities are used by or taught to others by Rudolf Steiner is referring to a caricature, not the real man. [page 17] . . . all this belongs to the department of finer natural science. Similarly, the idea that thoughts entertained by one person are able to influence another at a distance also belongs to this department. True spiritual research cannot use such forces for gaining knowledge about the world of soul and spirit. It is a complete misunderstanding of spiritual science to think that it looks upon the teaching about telepathy as anything other than a part of a refined physiology, a refined form of natural science. Religions have found after some early problems with Bruno and Galileo that they can co-exist with natural science. Similarly, spiritual science can co-exist with both religion and natural science without trying to replace either one. [page 18, 19] Spiritual science endeavors to penetrate behind the mysteries of the spiritual circumstances in the world. Religions are facts in the historical life of humanity. Spiritual science can, of course, go so far as to consider the spiritual phenomena which have appeared as religions in the course of the world's evolution. But spiritual science can never desire to create a religion, any more than natural science surrenders itself to the illusion of being able to create something in nature. Hence the most various religious confessions will be able to live together in the profoundest peace and in complete. harmony within the circle of the anthroposophical view of the world, and will be able to strive together after knowledge of the spiritual- so to strive that the religious convictions of the individual will not thereby be in any way encroached upon. Neither need intensity in the exercise of a religious belief or in attending services be in any way lessened by what is found in spiritual science. Rather must it be said that natural science, as it has appeared in modern times, has very often led people away from a religious conception of life, from the exercise of true, inner religion. It is an experience which we have in connection with spiritual science that people who have been alienated from all religious life by the half troths of natural science can be brought back again to that life through spiritual science. No one need be in any way estranged from his religious life through spiritual science. For this reason it cannot be said that spiritual science, as such, is a religious belief. It desires neither to create a religious belief, nor to change an individual in any way with regard to the religious belief which he holds. Given these facts, it is humorous to hear critics of Waldorf Schools claiming the schools are teaching religion and religious principles. These critics can express their derogatory remarks because they are seeing their own caricature of spiritual science and railing against it. [page 19, 20] But when, for instance, it happens that spiritual science is accused of not speaking of a personal God, when it is said that I prefer to speak of the Godhead, not of God, when it is asserted that what is called 'the divine' in spiritual science is of a similar nature to what is so designated in the pantheism of the Monists or Naturalists — this is the complete opposite of the truth. Through the very circumstance that in spiritual science we are led to real spiritual beings and to the real being that man is after death, just because we are led to concrete, real spiritual beings, we arrive at being able completely to understand how absurd it is to become a pantheist, how nonsensical to deny personality in God. On the contrary, one comes to see that one may speak not only of the personality, but even of a super-personality of God. The most thorough refutation of pantheism may be found through spiritual science. One can imagine that fundamentalist Christians would have a problem with the various ways spiritual scientists would talk about Jesus, God, and the Bible, as they are not limited by the blinders which many Christian denominations don by virtue of their various beliefs. Certainly the idea that Christ is a spiritual Being residing in the Sun would raise their hackles and likely generate their severe condemnation of the idea. In his later years, the famous innovator of depth analysis, Carl Jung once said, "I am not a Jungian." What did he mean by that statement? By that time, there were many Jungian analysts doing therapy and even more people who had studied Carl Jung's work who called themselves Jungians. The limiting aspects of the term was what Jung seemed to be referring to when he said that he was not a Jungian. He apparently saw his body of ideas and practices as a foundation upon which others could build to do their own thing and not as a template for them to become another Jung, i. e., a Jungian. Rudolf Steiner apparently felt a similar way about people who called themselves "anthroposophists". [page 21, 22 italics added] Time presses, and I cannot enter into many other misunderstandings which have been spread abroad concerning certain thoughts about the Bible which are said to be prevalent in circles of anthroposophists, as they are called — although the word would be better avoided, and only 'Anthroposophy' used. The certain thoughts about the Bible have to do with reincarnation, specifically, is it mentioned in the Bible or not? Steiner chastises those so-called anthroposophists for their sophistry in claiming that the Bible proves the reality of reincarnation. He says specifically, "I never uttered such nonsense as that repeated earthly lives could be proved from the Bible by means of the passage in which Nathaniel is spoken of. " This is the one when Christ says said He saw Nathaniel sitting under a fig tree earlier, and this is taken to mean in an earlier incarnation. There is nothing specifically about repeated lives mentioned in the Bible, and fundamentalist believers will not accept that idea. But there is nothing about America in the Bible and I can attest from personal experience that America exists today. Just so is it possible for things not mentioned specifically in the Bible to exist today and in the future. That reality is more important than gaining some moot point about reincarnation today. When reincarnation comes to be accepted, there will be no need for discussion, until then persuasion is needless to convince those who accept it and fruitless to those who reject it on Biblical or other grounds. Whatever arguments we put forward for or against it, reincarnation will come to be accepted as reality. [page 22, 23] Now repeated earthly lives will come to be accepted as a scientific, a spiritual-scientific, fact, and people will learn to think in the following way about the relation to the Bible of such a fact of spiritual science, which had sooner or later to be discovered. Would it be thought possible for anyone to say he did not believe in the existence of America because the Bible does not mention such a place? Or would it be thought offensive to the Bible to say: 'I think the existence of America is quite in harmony with my reverence for the Bible, in spite of its omission of any mention of America?' Is there anything in the Bible about the truth of the Copernican view of the universe? There have been people who for this reason have looked upon the Copernican view of the world as something false and forbidden. Nowadays there is no one really versed in the culture of his time who could say that he found a contradiction between the teaching of Copernicus and the Bible — notwithstanding that the teaching of Copernicus is not in the Bible. In the time of Giordano Bruno, some 400 years ago, the people imagined that the blue dome of the sky at night was a literal reality and the stars were like lights hung in the sky attached to this blue dome. Through his analysis, Bruno came to understand that there was no blue dome, but that the Earth, Sun, planets, and stars were bodies floating in infinite space separated by unimaginable distances from each other. This was such an heretical thought that the Church had Bruno burnt at the stake in a piazza in Rome in the year 1600 A. D. They burnt the man, but they could not burn his ideas, and those ideas are accepted today. Today there is another blue dome which people believe in as strongly as the people of 1600 believed in the blue dome of the sky which reached from horizon to horizon and no one could see further than that. That "blue dome" is the one which people can see as it stretches from birth to death and no one can see further than that, most people would claim. What happened before birth can not be seen and what happens after death cannot be seen, and that's that! Enough said. Steiner had to deal with minds as closed to this new blue dome as they were to the blue dome of Bruno's time. [page 26, 27] Giordano Bruno had to tell people: There is nothing at all where you see the blue vault of the sky; you put something there yourselves when you look at it. Space stretches out into infinity, and infinite worlds are in the infinite space. What Giordano Bruno then did for physical observation, spiritual science has to do for soul and spirit, and for the dimension of time. In regard to soul and spirit there is also a kind of firmament; on one side, birth — or let us say conception — on the other side, death. But that firmament is actually just as little a reality as the blue firmament above; merely because people can only see as far as birth or conception and as far as death with ordinary human faculties of perception, they think there is a boundary there, as people used to think the firmament was a boundary. But just as the blue firmament is no boundary but, rather, represents infinite worlds existing in infinite space, so must we, with extended faculties, lookout beyond the firmament of birth and death into an infinity of time, and behold in it the development of the eternal soul throughout successive earthly lives. In the spiritual sphere things are not different from what they are in the sphere of natural science. "What does all this mean?" 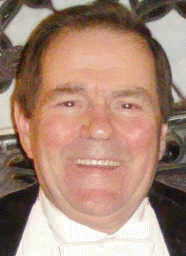 was a question that Ray Bagley, a consultant, would ask after a long discussion had ensued over some plans for a new computer project. It seemed like a silly question, but it always got us focused on evaluating again with a clearer head what we had just finished discussing. Our own discussion had become grist for the mill of discussion. 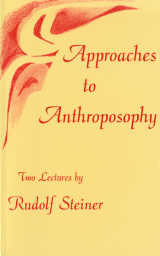 Someone new to Steiner's spiritual science, anthroposophy, might ask the same question and even follow with others, "Why bother with anthroposophical studies?" or "Is this some hobby for people with nothing else to do?" "I've got important things to do in real life. Why should I bother with these fantasies?" Steiner begins the second lecture entitled, "Human Life from the Perspective of Spiritual? Science", by answering the above questions. [page 38, 39] Such an opinion can, however, only arise if there is insufficient real familiarity with the circumstances of human progress in the course of the last three or four centuries, especially during the nineteenth century and on into our own age. If we cast our eyes over all the changes which have come about in human life during this time when compared with the needs of earlier ages, we become aware of how many new things have been discovered about the working of natural forces. These discoveries have thoroughly changed the whole of human existence and the conditions of life. How different human life is from what it was in the not so very distant past! If we survey our life as it develops from childhood until old age, a different prospect from before opens out. Such a survey shows how we enter into life, how we have to carry out our work and are prepared for this during our childhood and youth. It shows that we then develop the need to know something about the meaning and the real significance of life. We cannot remain satisfied with what we perceive through our senses or with what we do with our hands. In the course of our life we become aware of the voices of our soul-life, and we ask: What significance does this soul-dimension have in the outer, physical world? An initial answer would be, of course: The world gives an ample answer to questions such as these. It adds the element of religion to the content of our outer work and life's experience. Through this element is revealed the eternal significance of what lives in our outer physical nature; it transforms the gate which apparently shuts off our physical life into a gate through which the soul can ascend to an eternal life of immortality. There is a prevalent kind of people in the world: those who know everything and those who think they know everything. Then there's the rest of us who fumble around, occasionally casting a bit of light into some previously unknown dark corner. The first kind of people answer every question put to them with an elan which makes the question seem trivial. It is trivial because they have a ready answer to everything. They are so smart and yet they never add any solutions to the puzzles of the world because they have a ready answer to every question and are unable to hold an unanswered question long enough to actually learn something new. Do you know someone who fits this description? It seems to fit almost every natural scientist I know. If they don't know the answer to a particular question, they are absolutely sure that their science will eventually discover an answer to it. If you ask them about questions which can be resolved by investigations involving sensory data, they will discard the question as irrelevant and thereby maintain their prescient status — they refuse to look at the riddles which puzzle so many. Steiner encountered such people in his time. [page 39, 40] Not so long ago it was still possible to believe that natural science -- which is by no means unappreciated by spiritual science but is as regards its great advances fully valued and admired — had the means to solve all the great riddles of human existence. But those who have entered with heightened inner faculties into the achievements of modern science have been increasingly aware that what natural science brings as a response to the great questions of human existence are not answers but, on the contrary, ever new questions. Human life is enriched by these new questions; but on the level of natural science they remain no more than that. The people of the nineteenth century, academics included, have been insufficiently aware of this. They thought they were receiving answers to certain of life's riddles, whereas these questions were really having to be asked in a new way. These are now our questions. They are present in the souls of people today in so far as they are really involved in life, and they demand answers. If we refuse to recognize the riddles of life, those unanswered questions, we will become as if paralyzed. We will lose all interest in our soul and spiritual life and plunge ourselves into darkness. We may delay this loss of interest in life by the latest technological marvels, but it is only a temporary reprieve. [page 41] And as a further consequence, those who are no longer directly under this influence find that they also begin to lose interest in outward affairs. Joy in both life and work falls under a shadow. Life is experienced as a burden. When joy disappears, life loses all its luster and no new video game, 3-D movie, ultra- size cruise liner, nor any external innovation will have any appeal, and the only way to remove the burden seems to be to end one's life. Is there any wonder that suicide rates are so high among our youth who are so driven to everything new and glitzy? They are like a rat running in a circle chasing its tail and when it becomes clear to them that it was themselves they were seeking, the emptiness of their own life overwhelms them. It is as though our youth can arrive at the emptiness of a lifetime spent chasing the tail of natural science faster than those who spent 50 years in it only to discover that it "leads to a picture of the world in which the essence of man's nature has no place." (Page 42) One scientist, Du Bois-Reymond understood the dilemma of natural science and explained it back in the 1870s. [page 42] Individual scientists have long recognized certain limitations; and the speech that Du Bois-Reymond gave in Leipzig in the seventies, which ended with the admission 'ignorabimus', 'we shall never know' has become famous. This eminent scientist meant by this that however we much we may investigate the mysteries of nature with the methods of natural science, we shall never ultimately be able to discover what lives in the human soul as consciousness or understand what lies at the foundation of matter. Natural science is of little use when it comes to understanding matter and consciousness, which are in a certain sense the two poles of human life. It could be said that natural science has forced man as a spiritual being out of the picture of the world that it is building up. Similarly natural science with its sensory-based instruments would never be able to understand a symphony by Beethoven, being able to report, perhaps, the repetition of a certain E, but never experiencing the beauty, the feeling of exhilaration of the symphony directly. [page 45] The spiritual investigator is, in a certain sense, a person who has developed a perceptive faculty with regard to the world which is related to natural-scientific perception as is the musical ear to a perception which is directed solely towards the vibratory processes of space. He develops faculties by means of which the spiritual world is revealed, just as the symphony is revealed through vibratory processes. How does a spiritual investigator proceed? In my studies in chemistry and physics I learned to prepare and utilized instruments, man-made instruments, to perform experiments. The instruments of a spiritual investigator are not available for purchase from manufacturers because the instruments can only develop inside the investigator, in fact, they are the investigator, the human being becomes the instrument. That is why the instrument cannot be purchased, cannot be manufactured, because the can only exist within an individual who chooses to develop them. [page 45] The spiritual investigator himself merely prepares the instrument through which knowledge of the spiritual world is imparted. By unfolding certain faculties the spiritual investigator is enabled to forge instruments by means of which everyone who is sufficiently unprejudiced to use them in the right way may gain insight into the spiritual world. It is only a case of having the right ideas about the nature of these instruments. Whereas a person who prepares the instruments for a chemical or clinical experiment assembles external objects through which a secret of nature can be made apparent, the spiritual investigator prepares a purely soul-spiritual instrument. This instrument consists of certain ideas and relationships between ideas which, when rightly applied, open up the way into the spiritual world. If one reads a book in natural science, and I have read a lot of them myself, one reads of some result or conception created by another scientist, a dead result or an abstract logic construction. Note the difference when one reads a book on spiritual science, one develops faculties which brings one union with the spiritual world. [page 46] Whoever reads a spiritual-scientific book will — if he reads it properly — observe that what lives in the book can become in his life of soul the means of bringing this soul-life itself into harmony with spiritual existence; and he now comprehends spiritually what he formerly only understood with the senses and with the intellect that is bound up with them. Discussion takes place in the lack of knowledge, to paraphrase a famous insight of Rudolf Steiner. When everyone present has the same knowledge, no discussion, no doubt, no scorn will be expressed. It is natural then that spiritual science, anthroposophy, in its early stages, even now, a hundred years after these lectures were given, should be the subject of much reproach, misunderstanding, and censure. But as the famous saying goes, "this too shall pass . . ."
[page 46] Just because spiritual science or Anthroposophy is still at the beginning of its development, it is quite understandable, even natural, that the results to which one is led through the developed faculties of the spiritual investigator are met with doubt, smiles and even derision. But this doubt and derision will increasingly disappear in course of time, when the needs that are as yet still slumbering in the majority of people become conscious. Universal recognition will come for spiritual science as it has come for much that has happened to mankind in the course of its evolution. Giordano Bruno was burned at the stake for expressing an insight, a knowledge, which every school child accepts without batting an eye, that the blue dome of heaven is only the illusion of a sky whose reality is infinite space spread out in all directions. That evolution took four hundred years, but it came surely and fully to realization. Bruno used the eye of his imagination to see through the blue dome of the sky. Soon people everywhere will use a new organ, a spiritual eye, and see equally great wonders. [page 47] For the spiritual investigator discovers that just as colour is perceived with the physical eye, so can the etheric body be perceived by — to use Goethe's expression — the 'spiritual eye'. No doubt in my mind that the etheric body is as much a puzzle to the average person as the concept in Bruno's time that a point of light in blue dome of the night sky was actually a huge ball of fiery gas. Knowledge will answer all puzzles, personal knowledge which comes from the development of one's body as an instrument to perceive the etheric body. As a child and a maturing adult I always loved Fall. I couldn't understand why everyone talked about things dying in the autumn because to me there seemed to be something awakening. I did not have the words to describe it, it was only a feeling, and I had not yet learned to trust feelings as direct perception of the spiritual world. Perhaps some of you have felt something similar during Fall and perhaps like me you noticed that in Summer, the world seemed to be going to sleep. This is the direct experience of the etheric forces (spiritual beings) which sleep in the Earth during the intense growing seasons of Spring and Summer and awake and stream out of the Earth in Fall and Winter. [page 48] However incredible this may sound for the modern way of looking at things, it is nevertheless true that the 'spiritual eye' sees a rich life streaming to the Earth every spring from the earthly surroundings, something which does not happen in winter. Whereas with our physical eyes we behold only the physical plants growing out of the soil, we see spiritual beings, etheric beings, growing down from the cosmic environment. As physical plants grow towards maturity, we see that the living spiritual essence which sinks down into the plant-life of the Earth disappears from the Earth's etheric surroundings. Only when the fruit begins to develop and the flowers fade with the approach of autumn does all that had been united with the Earth, and had in a sense disappeared into the plant-world, withdraw again into the realm surrounding the Earth. And so we spiritually perceive the in- and out-streaming of a supersensible element in the being of the Earth from spring until autumn. It is as though living, supersensible plants were growing out of the etheric world and disappearing into the physical plants. In winter a different spiritual experience presents itself. A person who experiences winter simply by watching the snow and feeling the cold does not know that the Earth in winter is an altogether different place than it is in summer. The Earth has a much more intense, more active spiritual life of its own in winter than it has in summer. And if we really live into these conditions, we experience the alternation of etheric life in winter and summer; we become aware of a spiritual element which can, in a sense, be compared with what we experience in the alternation between going to sleep and waking up. Surely you're joking, I can hear some biologists and geologists saying as they read these words. Why not? Geologists see the Earth as dead rocks, and biologists see plants dead minerals which grow into various shapes by so-called natural forces of physics and chemistry. Every natural scientist, whatever the specialty, sees living beings as dead minerals moved about by natural forces which they can understand by their abstract logical constructs which are as dead as the minerals they describe in action. And in spite of all their protestations, you and I can feel the world going to sleep in Summer and awakening in the Winter because we can feel — feelings being our innate spiritual perception channel — the etheric world in which we live. Let others object, but we understand, we know objectively from our own feelings. [page 49] This etheric life shows that certain beings of the Earth's surroundings who are connected with other cosmic bodies unite with the Earth during the summer and withdraw again during the winter. This life requires that the Earth — if we regard it as a being and not as a dead body, which is how it is viewed by geology or by natural science in general — sleeps during the summer but is awake during the winter, with living memories of what has been united with it in the summer. The conclusions about earthly life that we may reach through analogies of one kind or another are the direct opposite of the truth. Such conclusions would lead us to believe that the Earth wakes up in spring and goes to sleep in autumn; whereas spiritual science brings the insight that the warm sultriness of summer represents the Earth's time of sleep, and the cold period when the Earth is covered with snow represents its time of wakefulness. Anyone who understands such an experience in the right way will no longer see fit to object that the comparison with musical hearing proves spiritual science to be merely subjective, like artistic interpretations in general. For the consequence that is introduced into the earthly organism of what has been beheld over the summer is an indication of the objectivity of the process. From this start, experiencing the objective etheric forces at work in the world, we can progress to experiencing the astral body and the Ego, the human self, our individual I. Each one has a reality as objective as the etheric body and the appearance of each in our own maturation can be remembered and recalled if we choose to, or we can observe it in our own children as they age and mature. [page 53] It is a considerable step for spiritual science to have taken to come to the recognition of the fact that the Earth has evolved out of a planetary predecessor where the mineral kingdom did not exist. The etheric element which exerts an influence today from beyond the Earth and which is united with the Earth only during the summer was not so separate from the Earth's planetary ancestor as it is from the Earth as it is now. This ancestor from the time before the mineral kingdom developed was a being which was itself alive. It was in its entirety a living being. If the 'spiritual eye' is able to see how the present Earth has arisen from an earlier living predecessor, it also becomes able to discern that supersensible element which works as such in man and in animals, and which can be found at present neither in the earthly nor in the extra-terrestrial realms. It is operative in animals and, in a higher way, within man. The human organism is the bearer of this supersensible element from birth, and it has been fashioned in such a way that it can be its bearer. From about the fourteenth year this supersensible element begins to manifest a distinctively independent activity which was not present before; and as a result of studying this activity with the 'spiritual eye' it becomes possible to distinguish a third member of human nature, the astral body or soul-body — again it should be borne in mind that the name is of no particular consequence and could be replaced by another. It will at first be difficult for someone who is not really familiar with such trains of thought to form an idea of the difference between the astral body before and after the fourteenth year. This and other difficulties can only be overcome through becoming further acquainted with spiritual science. In approximately the twenty-first year another supersensible member begins to exert an influence upon the human organism, This is the real bearer of the ego, of the human self, a member which raises man above the animal kingdom. Many of you who have studied how the etheric body arises at 7, the astral body at 14, and the Ego at 21 may have wondered how it can be that a child of only one year old can stand erect thereby asserting the presence of its Ego, and within a year or two become the most egoistic, demanding little person in the world. These ages are often called the terrible twos and terrible threes because of that behavior, an outburst of untrammeled Ego. Isn't Ego supposed to make its appearance at age 21, the age of majority, when a person becomes an independent adult? The reason for the precocious burst of Ego is that the Ego is immortal and evolves through repeated lives. We can often hear someone say, after looking into the eyes of a small child, "This is an old soul." The eyes are the window into the Ego, as anyone can prove who has lived long enough. They have only to encounter a friend at a 30 or 40 year high school reunion who has lost all his thick black head of hair, but when they look into his eyes, they recognize him immediately. [page 54] Man is so organized that, on the one hand, the independent manifestation of the ego in the bodily organization only takes place in the fourth phase of life, whereas on the other hand the ego evolves through repeated earthly lives. If the ego only possessed the forces which can be acquired in one earthly life, the unfolding of these forces would have to be delayed until the body makes this possible in the fourth phase of life. But it enters into earthly life having already had previous experiences; and the forces which equip it for repeated earthly lives enable it to work upon certain parts of the bodily organization in such a way as to manifest itself in the manner referred to before the fourth phase of life. For this same reason, the astral body can, through the ego, also be active in the physical organism earlier than would otherwise be the case. Exactly because spiritual research is able to perceive the difference in the way that the ego works within the human organism before and after the onset of the fourth phase of life, it recognizes that man's existence on Earth passes through repeated lives, which are separated by long periods of purely spiritual existence between death and a new birth. Is communication with living spirits of the dead possible? Yes, but it is something which requires approach first from the spirit. Clearly seances intended to contact some departed one are ill-advised. [page 55] It should be emphasized — I have already spoken of this in the previous lecture — that there is no question of spiritual science seeking a relationship with the dead that arises out of mere capriciousness. If we are to approach a dead person, the initiative must come from the dead person himself. It may then be possible that through his will we receive from him a revelation of the 'spiritual eye', just as we receive other knowledge from the spiritual world. Everything which proceeds from this realm must be approached by the spiritual investigator with a reverent reserve. The hallmark of Rudolf Steiner's spiritual science is the understanding and respect it brings to understanding the importance of Christianity in the world. It was his teaching about the Mystery of Golgotha as the turning point in human evolution which led his anthroposophy to distance itself from theosophy. [page 62] If we consider the development of the Roman Empire at the beginning of our Christian era and the growth of Christianity from that time onwards, we see how remote Christianity was from everything that was then considered worthy of the interest of educated people in Rome. From this Roman culture we then turn to look at what was going on literally under the earth in the catacombs. And then we look at what took place a few centuries later. Christianity has risen up from the depths, it has been accepted in those regions where it was formerly despised and rejected. Considering such events can bring confidence to those who believe that they should serve truth, even where it has to struggle against opposition. Christianity rose from the tombs of the catacombs of ancient Rome into light of a modern religion, just as Christ arose from the tomb in Jerusalem into the light of a new day on Easter Sunday morning. So also will anthroposophy arise from the darkness and obscurity of the words of an Austrian philosopher and spiritual seer, a prophet without any doubt, into the light of day in the 21st Century. Footnote 1. The marvelous metaphor of the glass and water I credit to Bishop Kenneth Ulmer, who shared it on the Hour of Power broadcast November 7, 2010. Click BACK to Return to Digest Blurb or Here to Return to Review: Return to text directly before Footnote 1. Footnote 2. Mabel Collins, Light on the Path, Wheaton, IL: Theosophical Publishing House, 1994.